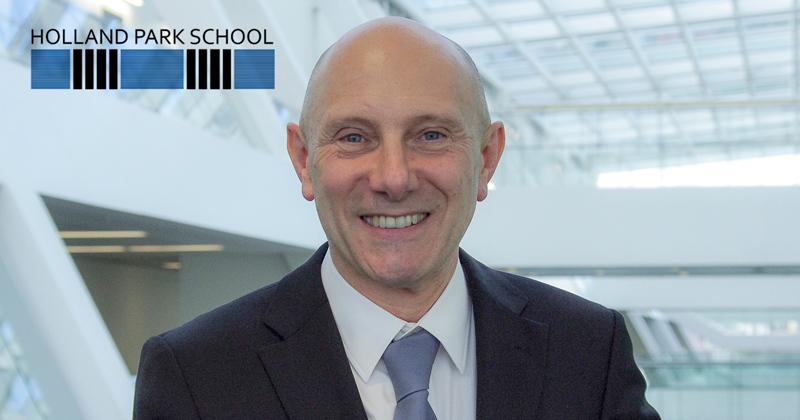 A single-school academy trust has upped the pay of its top executive to £260,000, making him one of the best-paid academy bosses in the country. 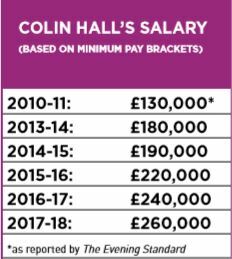 It means that the pay of Colin Hall, listed as “head” of Holland Park School, west London, has doubled in seven years, despite a letter from the government in 2017 as part of its crackdown on high CEO pay. Ofsted has rated the school, once dubbed the “socialist Eton”, outstanding. The trust has another three employees on more than £100,000, including David Chappell, the academy head and accounting officer, who was paid between £180,000 and £185,000. Holland Park trust, founded in 2013 after the school of about 1,400 pupils became an academy, is not the only small trust to hike pay. Brampton Manor Trust, which has two schools in east London, paid its head Dayo Olukoshi at least £220,000 last year, an increase of £20,000 on 2016-17. Other trusts, however, are beginning to reduce leadership pay and the National Governance Association has advised its members not to let recruitment concerns make them feel “pressured” into agreeing to high salaries. In new guidance published today the organisation also floated the idea of whether trusts should be required to seek government approval to award salaries of more than £150,000, as is the case in NHS trusts. Accounts for Holland Park show Hall’s pay rose from between £245,000 to £250,000 in 2017 to between £260,000 to £265,000 last year – a rise of at least £10,000. Hall is now thought to be the third best-paid academy head in the country. However his pay works out at around £186 per pupil – way above the £13.75 per-pupil received by Sir Dan Moynihan, the country’s highest-paid academy boss who earned at least £440,000 for running 44 schools last year at the Harris Federation. It has also emerged that Holland Park trust is arguing over who pays the bill for “significant defects” such as “loose” stone panels and “glass breakages” to its £80 million building, which was finished in 2012. The stone façade has not been properly secured, making the heavy panels “loose and prone to falling off”. The accounts said a panel had once fallen, but did not specify what damage or injuries were caused. There have also been 17 separate incidents of “glass breakages” requiring a “full upgrade” of the installed glass – the school has glass classrooms and roof – while flooding in the school’s basement has caused “potential irreparable damage” to the swimming pool. However, the trust’s lease of the land and buildings has not yet been finalised, accounts show, with discussions ongoing “with a view to determining who bears responsibility for carrying out this work”. The Department for Education and Education and Skills Funding Agency were in “extended dialogue” between the school and council. Holland Park opened in 1958 as one of the first comprehensives in the country and was dubbed “the socialist Eton” when left-wingers, including the former Labour cabinet member, Tony Benn, and the founder of the SDP and former Labour home secretary, Roy Jenkins, sent their children to the school. According to its accounts, decisions on setting pay were considered by the trustees’ performance committee. But they also show that trustees have asked an external auditor to look at the financial operations and trust procedures, including a “detailed review of payroll procedures”. All the trust’s members are also trustees, which goes against government guidance that says most members should remain independent from the board. The trust also lists Sally Bercow, the wife of the Speaker, among its trustees – although the accounts use the term “governor”. In December 2017, Holland Park was one of the first 29 trusts to receive a letter from the Education and Skills Funding Agency asking for justification of high salaries. A spokesperson for the DfE said trust salaries should “reflect the individual responsibility and must be justifiable”. The trust declined to comment.